Custom textiles to compliment a living room with original retro furniture…inspired by Mid-century modern design. 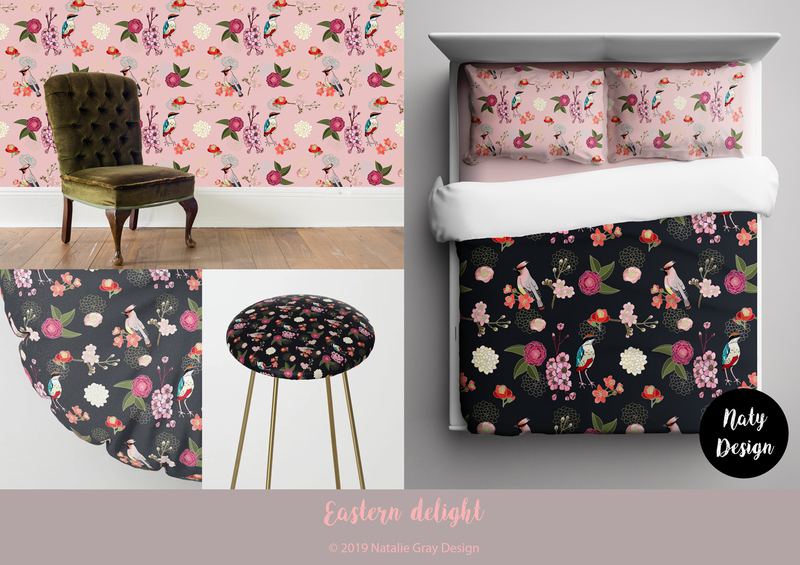 Custom floral and bird filled textiles with a rich and luxurious colour palette, to complete an Art Nouveau furnished bedroom. 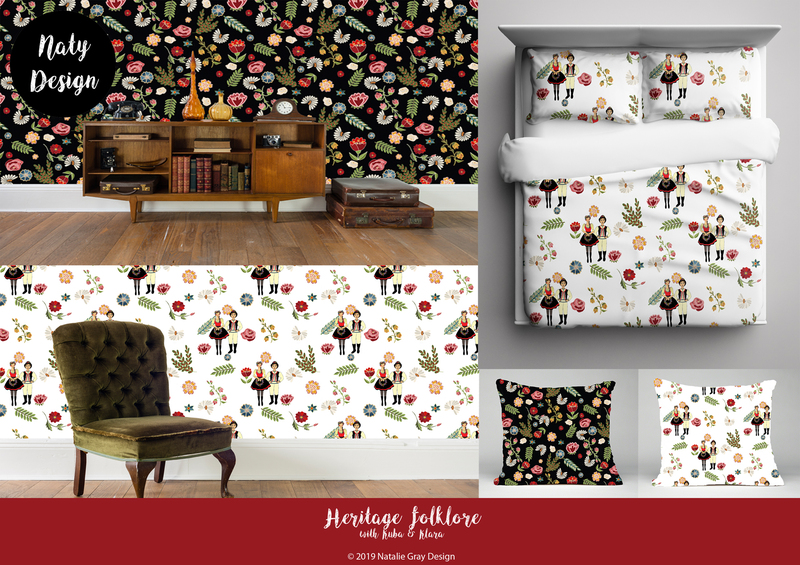 A rich, floral pattern with succulents, leaves and berries on a dark background and printed on high quality cotton twill to make curtains and cushions. ‘The little nuthatch’ pattern contrasts well with ‘Maminka’s garden’ I created the patterns to coordinate. Design project for Lobkowicz palace, Prague castle. Inspired by the beautiful birds and flowers in the Chinese belvedere room. Inspired by beautiful birds and flowers in the Chinese belvedere room. Inspired by mythical creatures in the Chinese belvedere room. Print, cut and make your own bunting, featuring motifs from the ‘summer love’ pattern, a fun way to decorate! ‘Summer love’ Pattern filled letter with dung beetle, ladybird, Dandelion and bumble bee. A personal touch, with typography letters for the bride and groom! 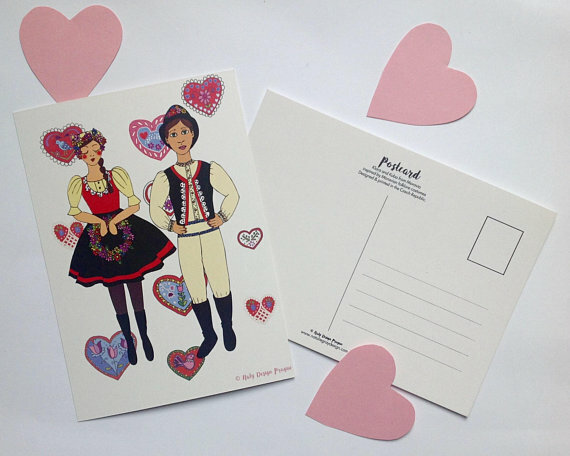 ‘Summer love’ on 100% cotton popelin, printed in the Czech Republic. Perfect gifts for guests or bridesmaids, little pocket mirrors. 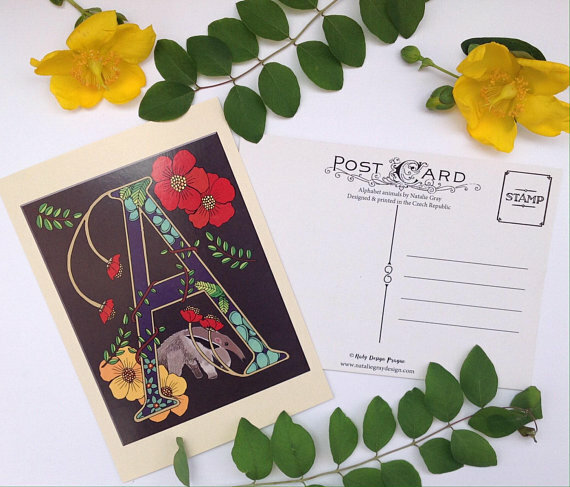 Illuminated letter postcard, inspired by Art Nouveau, A is for Anteater. 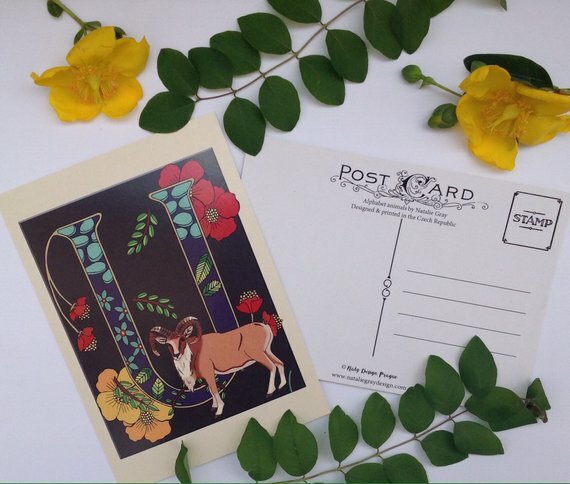 Illuminated letter postcard, inspired by Art Nouveau, D is for Donkey. 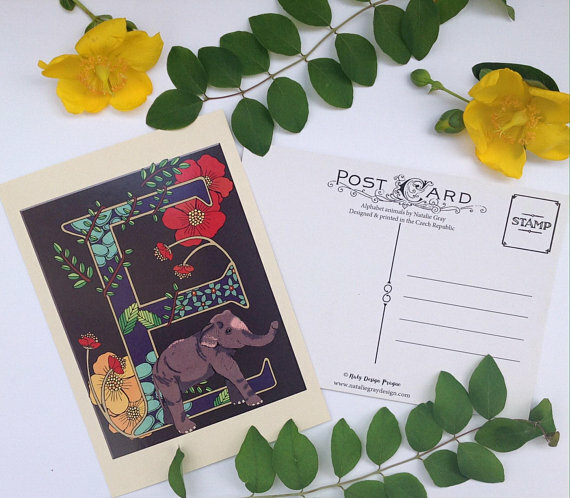 Illuminated letter postcard, inspired by Art Nouveau, E is for Elephant. 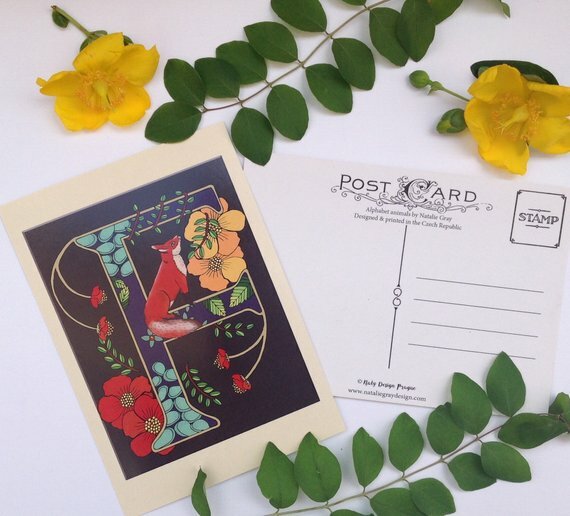 Illuminated letter postcard, inspired by Art Nouveau, F is for Fox. 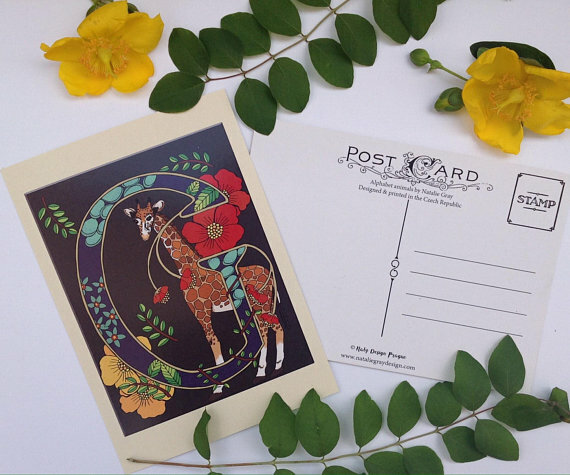 Illuminated letter postcard, inspired by Art Nouveau, G is for Giraffe. Illuminated letter postcard, inspired by Art Nouveau, H is for Hedgehog. 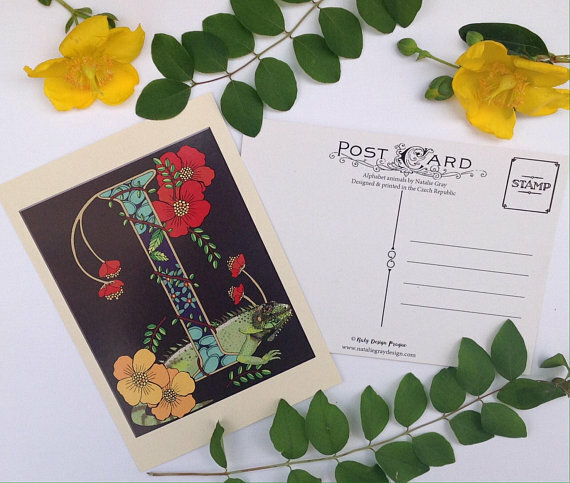 Illuminated letter postcard, inspired by Art Nouveau, I is for Iguana. Illuminated letter postcard, inspired by Art Nouveau, J is for Jaguar. 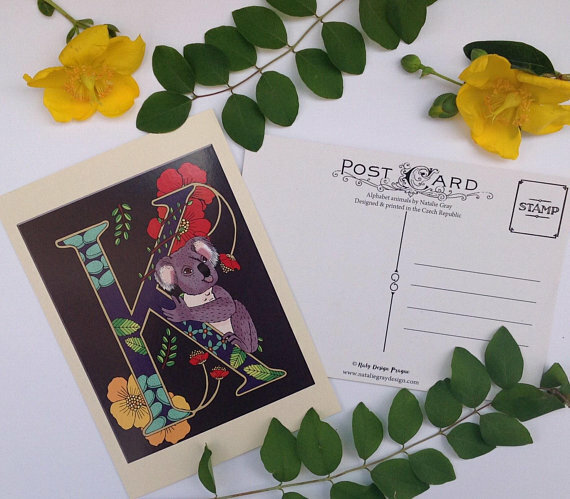 Illuminated letter postcard, inspired by Art Nouveau, K is for Koala. 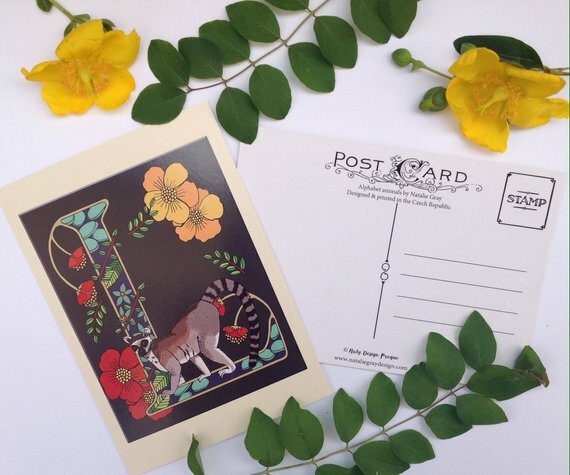 Illuminated letter postcard, inspired by Art Nouveau, L is for Lemur. 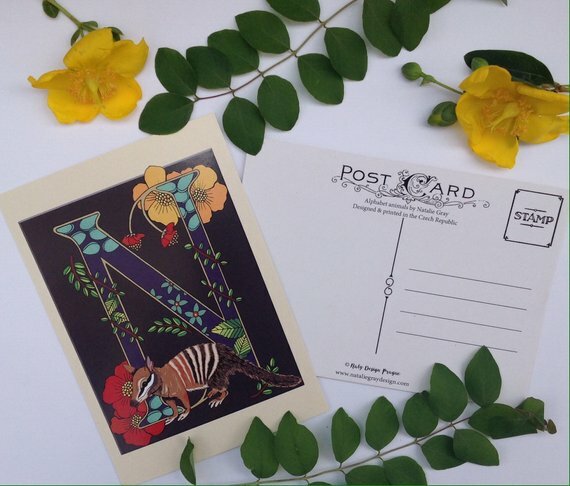 Illuminated letter postcard, inspired by Art Nouveau, N is for Numbat. Illuminated letter postcard, inspired by Art Nouveau, O is for Otter. 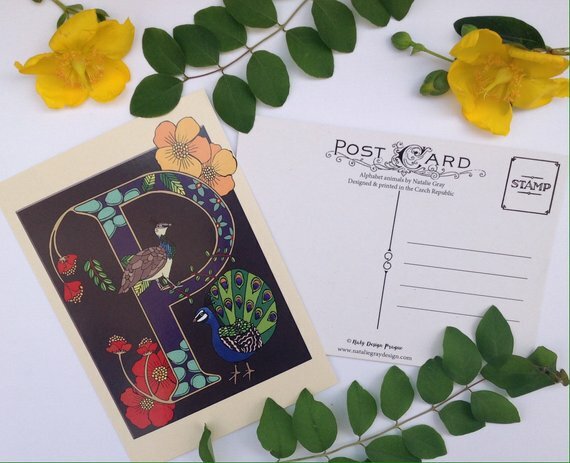 Illuminated letter postcard, inspired by Art Nouveau, P is for Peacock. 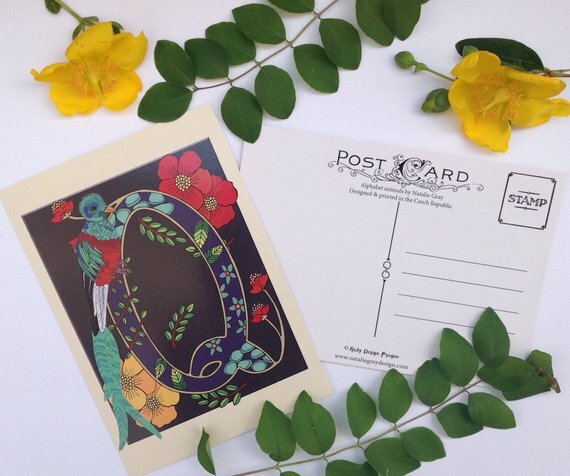 Illuminated letter postcard, inspired by Art Nouveau, Q is for Quetzal. Illuminated letter postcard, inspired by Art Nouveau, R is for Red Panda. 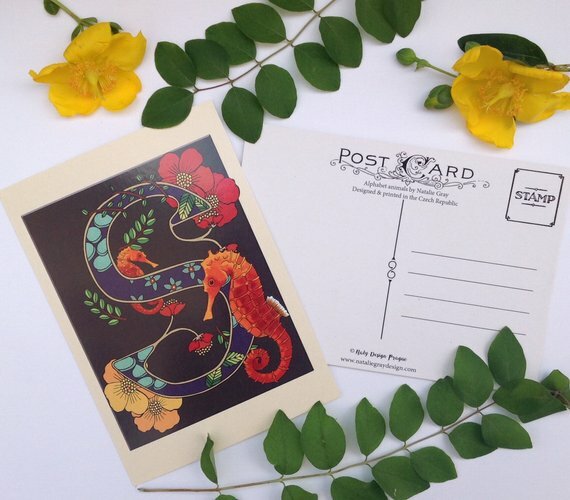 Illuminated letter postcard, inspired by Art Nouveau, S is for Seahorse. 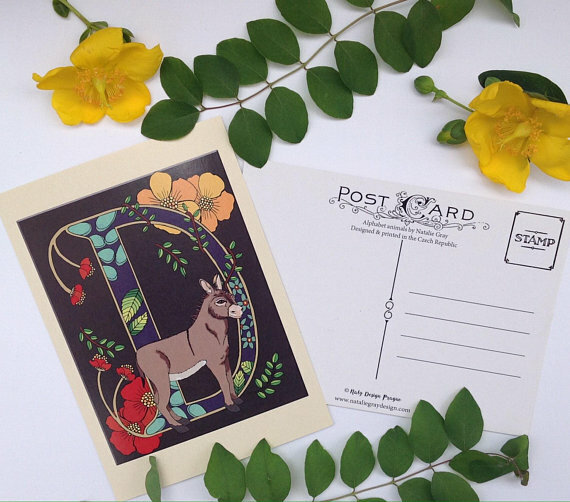 Illuminated letter postcard, inspired by Art Nouveau, T is for Tapir. 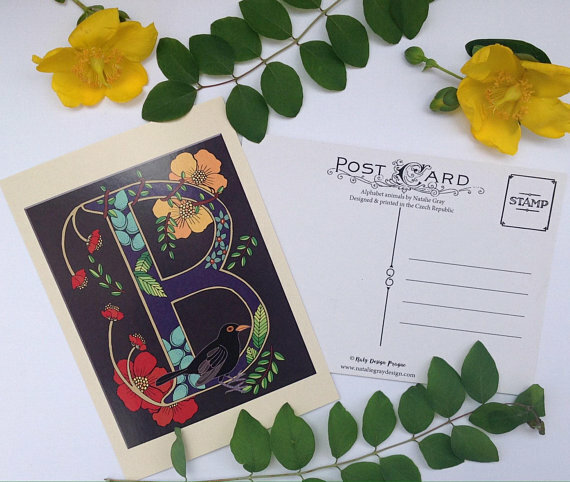 Illuminated letter postcard, inspired by Art Nouveau, U is for Urial. 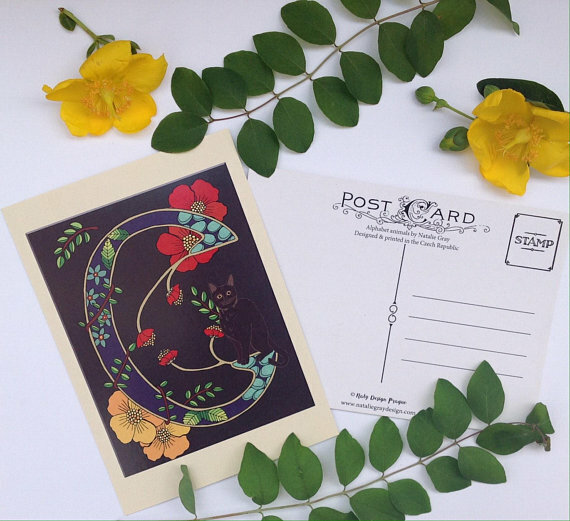 Illuminated letter postcard, inspired by Art Nouveau, V is for Vaquita. 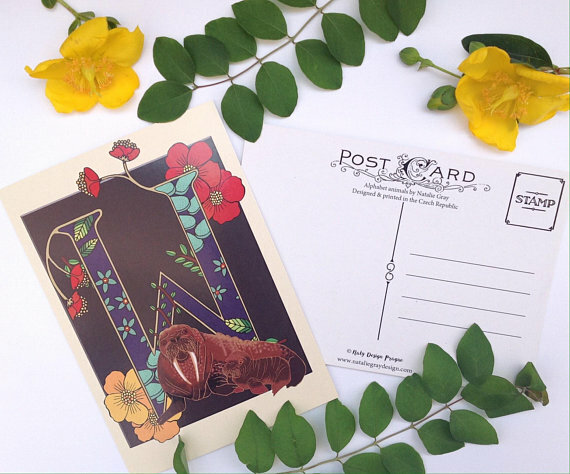 Illuminated letter postcard, inspired by Art Nouveau, W is for Walrus. Illuminated letter postcard, inspired by Art Nouveau, X is for X-ray tetra. 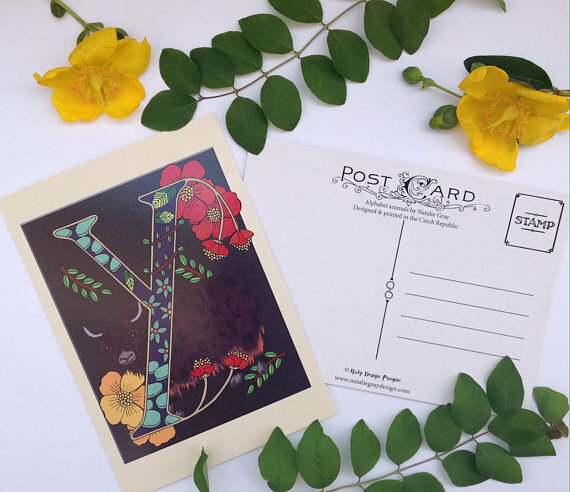 Illuminated letter postcard, inspired by Art Nouveau, Y is for Yak. Illuminated letter postcard, inspired by Art Nouveau, Z is for Zebra. 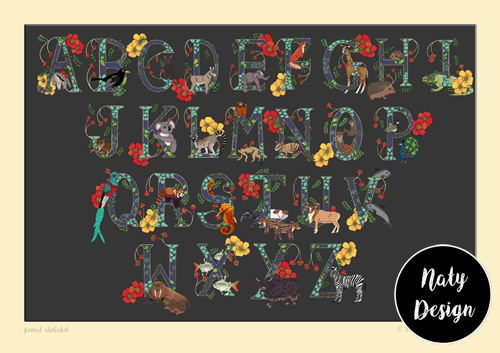 Animal alphabet poster, with illuminated letters, inspired by Art Nouveau. 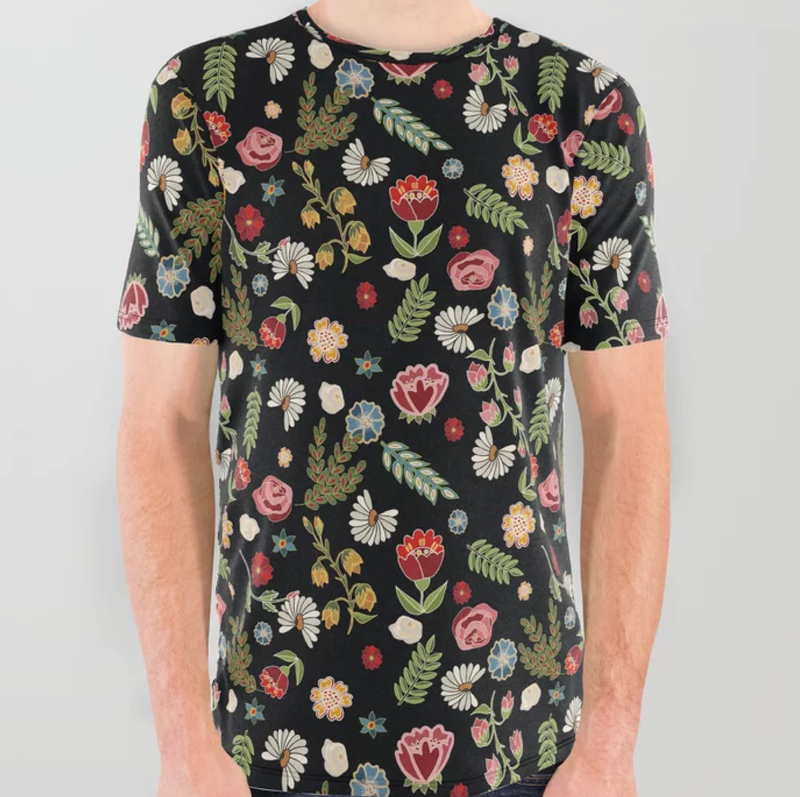 Amazon animal friends, a dark, tropical pattern featuring animals of the Amazon rainforest layered with tropical plants and flowers. The Giant anteater, Kinkajou, Spider monkey, Tamarin monkey, Macaw parrots, and Jaguar. Giant anteater repeat pattern with tropical flowers and leaves, coordinate for Amazon animal friends. Kinkajou and spider monkey tropical repeat pattern, coordinate for Amazon animal friends. 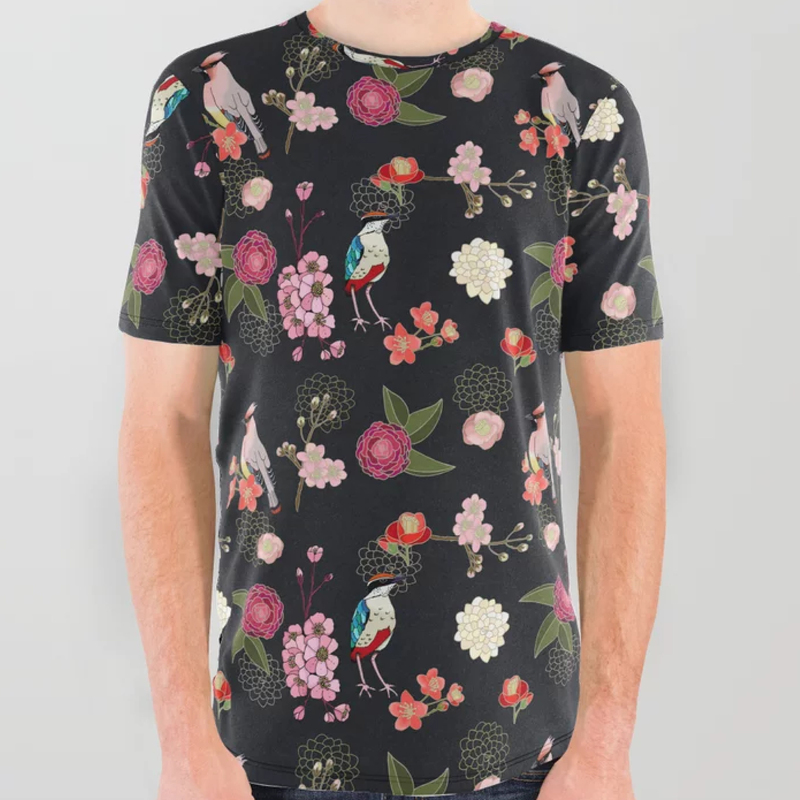 A rich and romantic repeat pattern filled with honeysuckle and beautiful Bullfinch, complete with coordinates in peach, black and fuchsia. Kuba and Klara from Moravia! and made in the Czech Republic.